Tell the world about Philosophy! 15 films from around the world that inspired our imagination during the festival in London this year. The present is a strange beast. Αnother festival of imaginative films closed its curtains last week. Our focus this month was the BFI London Film Festival where we saw films from around the world that took us outside of our comfort zone. It was an adventurous 12-day festival covering for the BFI’s very own live blog and putting forward BFI-produced videos of highlights and interviews. A week later the memories are still bold with inspirational films. Here are 15 that caught our attention. Winner of The Grierson Award in the Documentary Competition, Ossama Mohammed and Wiam Simav Bedirxan’s Silvered Water, Syria Self-Portrait is a courageous work filmed under the most dangerous circumstances. A film made of 1001 images, shot by 1001 Syrian men and women and Mohammed himself, the director found these images on a daily stream from YouTube. He left Syria on May 9, 2011, “the day of triumph over fascism” Mohammed tells us in his film. With him he carried these 1001 images for a talk in Cannes and since then he’s been living in exile in Paris. A year later in 2012, Wiam Simav Bedirxan, a young woman who lived in Homs, got in touch with Mohammed and started filming what she was witnessing: the cinema of the victim and the murderer alongside her struggle for survival. 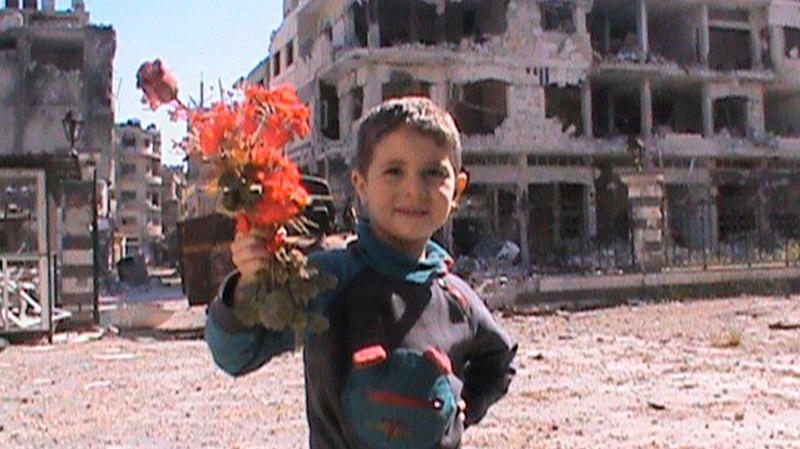 A much-deserved winner for such a prestigious documentary award, Silvered Water, Syria Self-Portrait brings forward experiences from a cruel reality that is hard to imagine in the western world. This is disturbing, pure cinema that observes life’s cruel reality and Syria’s deep struggles. Juror’s for this year’s documentary competition were film-director and producer Sophie Fiennes (The Pervert’s Guide to Ideology), the Emmy®-winner and BAFTA-nominated producer and director Roy Ackerman, the Emmy®-winning producer and editor of Storyville Nick Fraser, Dogwoof’s head of distribution Oli Harbottle, and the BAFTA-nominated filmmaker and screenwriter Penny Woolcock. The jury were deeply affected by this film. Ossama Mohammed and Wiam Simav Bedirxan’s portrait of Syria is both unflinching and poetic. It is hard to watch, because the fact of war is and should be unbearable. Bedirxan’s passionate and courageous quest to be a reliable witness, while trying to comprehend and survive her desperate situation in Homs, is profoundly moving. Ossama Mohammed’s exile in Paris, resonates with our own safe distance from this war, but the miracle of the film is how it engages us. In one of the screen talks at the festival, director Abderrahmane Sissako was in conversation with the BFI’s Head of Film Programme and critic Geoff Andrew. When asked why he made his latest film, Timbuktu, Sissako explained there was a situation that made him start with the idea. In July 2012 while on visit to one of the villages in Mali, he witnessed a couple being stoned to death because of adultery. On this very day, he adds, a new phone had come out and the media filmed the very first person buying it, as if someone who has a new phone is an important piece of news. We are bombarded on a daily basis with news that is not of any significance. As Sissako emphasized during his conversation with Andrew, “It is important to him [the person who bought the new phone] but not to the rest of us”. The current discourse is that [Islam] is about this terrible religion but it’s not true. There are a number of people who have appropriated this religion as a vehicle for their own interest and it has nothing to do with Islam itself. Sissako’s latest picture Timbuktu, bares witness to what the director saw in July 2012. Timbuktu is a powerful portrait of love, compassion, suffering and humanity brilliantly shot by Blue is the Warmest Colour‘s cinematographer Sofian El Fani. Similarly, writer-director Mohsen Makhmalbaf (A Moment of Innocence) made The President, an insightful film with a universal scope: peace for all. Filmed in Georgia, Iranian director Makhmalbaf triumphs in bringing international anxiety with powerful effect to his picture. The President is an astonishing work that asks this simple question: if ideology is based on revenge, how can you talk about democracy? Outside the international spectre, we caught up with films that dealt with personal difficulties, struggles, loneliness and rage. Jean-Paul Civeyrac’s My Friend Victoria, adapted from a story by Doris Lessing, is an intelligent portrait of racial identity in the contemporary western world. Poignantly performed by newcomers Guslagie Malanda and Nadia Moussa, the two friends, and adopted sisters, come across a French bourgeoisie that is open to diversity under its own terms and conditions. Following some unexpected circumstances and much consideration for her little girl’s future, Victoria chooses to take this journey but equally it has to be under her own terms too. It is a lonely journey and Civeyrac’s adaptation of Lessing’s story is an achievement in portraying a complex reality. Tender and at the same time funny, Ne me quitte pas by Sabine Lubbe Bakker and Niels van Koevorden, tells the heartfelt story of the friendship between the recently divorced, with two kids, Marcel and his pal Bob. Beautifully photographed with an eye for still-life symbolism, the duo’s film reminded me of Sergei Dvortsevoy’s 1998 documentary Bread Day. In Ne me quitte pas, also reminiscent of Samuel Beckett’s Waiting for Godot, the two men live their intuitive life in rural Belgium, which is far from harmonic. 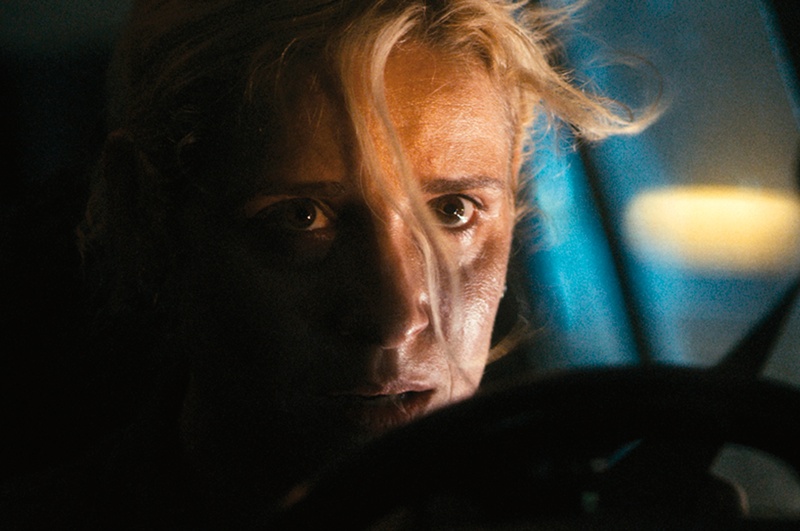 Greek director Syllas Tzoumerkas’s second feature A Blast is a superb portrait of the gratitude and sadness flaming in Maria’s (Angeliki Papoulia) life. A mother of two whose husband is a sailor and works on a tankship in Germany for six months, Maria is trapped in the misery of loneliness and huge financial depth inherited from her mother (Themis Bazaka). Like with his debut feature Homeland, in his second film Tzoumerkas focuses on family, its patterns and consequences. But in A Blast rage breaks through institutional, social and personal anomalies in search for dignity and a firm mission for change. With outstanding performances from Angeliki Papoulia (Alps), Themis Bazaka (Wasted Youth) and newcomer Vassilis Doganis in the role of Maria’s husband Yannis, A Blast looks into adolescence, prostitution and escapism against the rise of far-right ignorance. Still threatening the most vulnerable in the crisis that is gripping Greece for the last five years, fascism gets the black eye from Maria’s daring and explosive anger. Tzoumerkas balances the personal and national turbulence to a poignant level, which together with his film’s electrifying imagery of Maria’s and her husband’s flashbacks to the years of their romance, announce him as an audacious filmmaker. There’s nothing ‘weird’ about Tzoumerkas’s picture. Only the reality of a burning desire: to be loved, unconditionally. 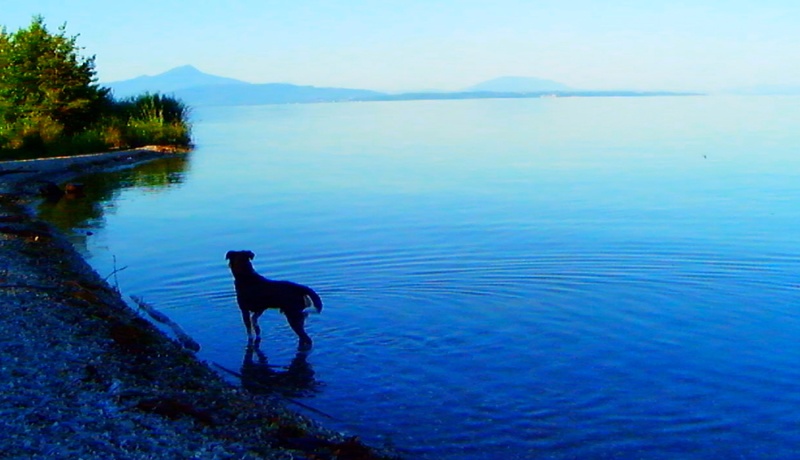 A Blast is an engaging film, which together with Ken McMullen’s admirable OXI: An Act of Resistance, also an entry to this year’s festival programme, are perhaps the most accurate accounts that carefully illustrate Greece’s difficult years of austerity and the tragic impact it has in people’s lives. This year’s festival paid tribute to one of the world’s tireless documentary filmmakers, Frederick Wiseman. This is good news because at the age of 84, Wiseman continues to educate us with his passion for the art of documentary and technique as the great invisible behind the camera. It is truly a magical skill, as his characters in all his films seem almost always not to notice the presence of the camera. It happened most recently in his At Berkeley (2013) and it happens again in his new film National Gallery, a glorious account in a day of the life of the glorious paintings held by one of London’s art museums. Wiseman’s National Gallery together with Mike Leigh’s biopic of the great Romantic painter Mr. Turner and Mark Cousins’s 6 Desires: DH Lawrence and Sardinia in the festival’s programme, have an appetite for the act of looking and appreciation for the great British artists. Only that Cousins’s latest essay film on the English novelist and poet and his brief visit to Sardinia in the early years of the 20th century, manifests an exemplary script and testifies the very essence of desire. Though his essay film affirms, “Not all desires should be satisfied”, in the end he simply reverses this affirmation with his very final scene. But I wouldn’t like to spoil it, just watch it when there’s a chance. Peter Strickland‘s third feature and a follow up to his Berberian Sound Studio, The Duke of Burgundy is an adventure in sound and dark humour in the intimate relationship of two women. A long-term experimental musician, English writer-director Strickland emphasises on the intriguing sounds of cats and lepidopterists. But its surreal cinematography, telescopic imagery and kaleidoscopic autumnal patterns, under the supervision of Nic Knowland, alongside metallic appearances of butterflies trapped outside the bedroom, will burst your imagination to a hypnotic effect, transformed to a motif in the sounds of orchestral pop duo Cat’s Eye. Another favourite from the festival was The Sapience by Eugène Green (The Portuguese Nun). Green is an educator himself who has drawn inspiration from the French baroque theatre technique. Thus it comes as no surprise that his film, for which he also wrote the script, is a visceral attempt to weight the poignancy of education as a bilateral practice between the teacher and the student. In the heart of 17th century baroque architecture during their visit to Italy, withdrawn architect Alexandre and his psychoanalyst wife Alienor encounter young brother Goffredo and his sister Lavinia. 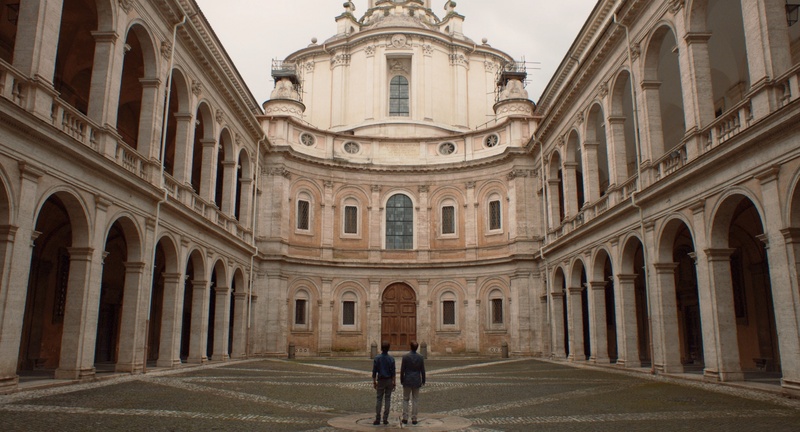 The age gap between the four blazes new trails in their personal experiences and the film’s tour around Italy’s celebrated Roman architecture, with strong reference to Francesco Borromini’s work, is an adventure into spaces of light with a ghostly effect. It also emphasises the need for an architecture where cities can grow organically. Cinema’s enfant terrible, Jean-Luc Godard came back to the festival. This time with his 3D film. At the age of 83, the French auteur paid homage to the great modern philosophers, his dog Roxy, romance and humanity’s blinded conscience. In his Goodbye To Language he superbly plays with a variety of mini-3D cameras and it is an excellent film from which Hollywood needs to learn a thing or two. It felt like a real treat while watching it in full-house BFI IMAX: a celebration of independent thought, an original act of daring to think differently. It was a real gift Mr. Godard. Sadly, we didn’t catch up with many shorts this year. However both Ahmed Ghoneimy’s The Cave (Cairo), a musician’s odyssey for an audition in Alexandria, and Philippe Lacôte’s To Repel Ghosts, based on Jean-Michel Basquiat’s last trip to Abidjan, deserve a special mention for their vigorous style. Both films screened as part of the African Metropolis programme at the festival. A revamp programming approach at this year’s festival and a new hub for journalists at the BFI’s Stephen Street location, led an audience turn-out with a boasting 7.5% increase across London venues. Over 12,000 people across the UK attended simultaneous screenings of the Opening Night film of Morten Tyldum’s The Imitation Game, the Closing Night film of David Ayer’s Fury, and the Documentary Special Presentation of Laura Poitras’s CITIZENFOUR. This is confirmation that alternative content matters creatively as well as financially and with most of the films from the programme to look out for, hopefully when they get their release after their premier at the BFI London Film Festival, we will then meet you again next year. Georgia Korossi is editor of 11polaroids, writer and curator of film based in London and Athens. You can read more of her writings here.